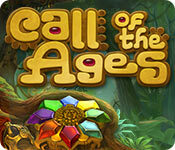 Call of the Ages is rated 3.3 out of 5 by 63. Rated 5 out of 5 by arg57 from LOVE it! Great game! I finished it all and now playing for the last three challenges - to gain all stars. Had hours of fun. Rated 5 out of 5 by Belanaparis from Lots of fun! 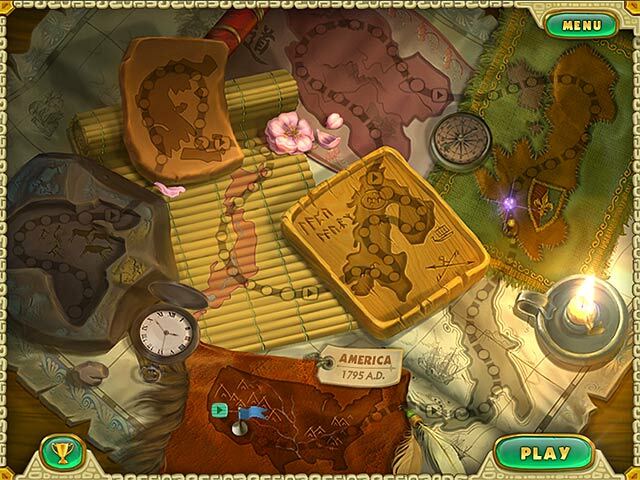 A FUN, FAST PACED MATCH 3 GAME, Colours and artifacts are fun and easy to achieve! Rated 5 out of 5 by lizaip from fantasic call of the ages game is an interesting game that you do not want to stop after starting the game. Rated 5 out of 5 by Marzion from Excellent Match 3 Title If you are a fan of or new to this series this game will not disappoint. 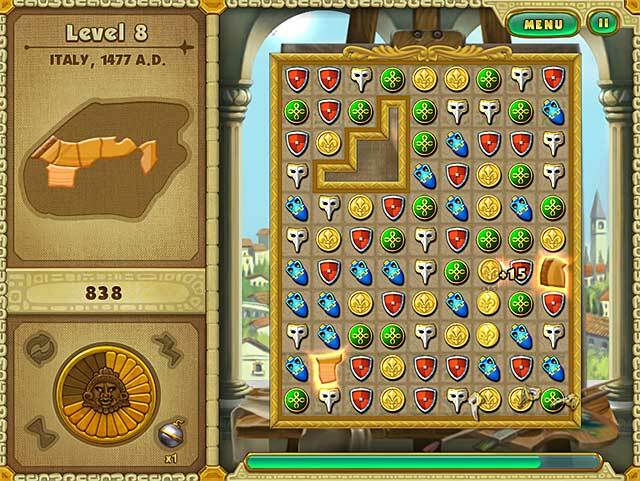 I have played both Rise of Atlantis and Age of Atlantis. Both were great but this game tops both of them in my opinion. The later levels can be very challenging but if you stick to your guns and are patient you'll be fine. The game is longer than either of the previously mentioned titles as they offer each level a second time as a challenge. Each challenge is different. This adds another element to the fun. The sound and graphics are also top-notch. Rated 5 out of 5 by Zellian from WOW!!! What a spectacular new release from BFG! One of the best if not THE best match 3 I have ever played. This one has HD graphics, cut scenes, fully voiced characters, achievements/trophies, decent music and great sound effects. The gameplay is very smooth and engaging, which is a must for a match 3. Heck, this one even has somewhat of a story, as it walks players through an admittedly vague and generalized telling of historic artifacts. Best use of a game credit I could recommend! Rated 5 out of 5 by Sweetpee1951 from Perfect Match 3 game Everything I want in a match 3 game; voice talking, excellent graphics, a little help and something to achieve. I bought it after playing for 45 minutes. Keep up the good work on the Match 3 games which are my favorite. I play only on untimed mode to relax. 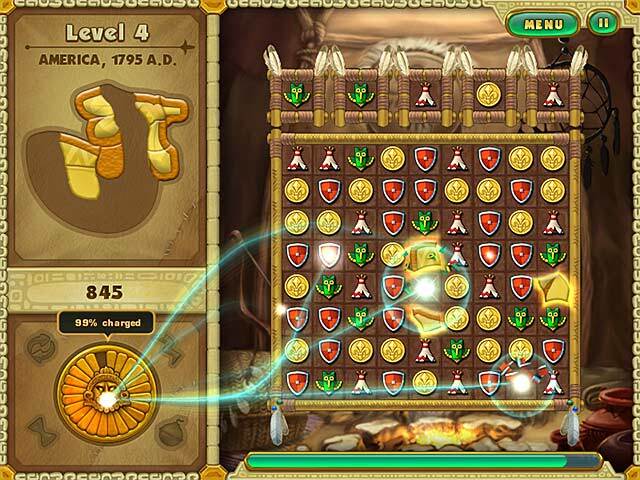 Rated 5 out of 5 by mari57fl from awesome three match I like it very much fun easy my granddaughter love all big fish games so do I keep up the good work..
Embark on an exciting journey through time to save the world from destruction in this unique Match 3 game.